Every business needs to track clients, manage customers, prepare invoices and execute services. CRM or Customer Relationship Management helps monitor and improve these functions. A recent report has revealed that successful companies are twice as likely to use CRM solutions for their company’s growth. For emerging start-up companies, it is crucial to switch over to SaaS (Software-as-a-service), a popular CRM solution in order to build good relations with customers. CRM can be integrated with lead management, sales quotes, opportunity management and customer payment for running a business smoothly. Social media and online application forms are powerful sources that help the sales team understand the needs of customers. Coupling CRM with inbound marketing, businesses can find all the information in a single place. Follow-up after the first sales is a must in an industry. The team can improvise from their past learning and customer feedback. CRM is the silver lining that helps generate and send bulk emails to the customers. E-signatures can quicken the process of finalizing a deal. CRMs include an option of e-signature and quote proposal option to smoothen out mergers and deals. By integrating a CRM solution with financial applications, companies can keep track of payments and process the invoices quickly. 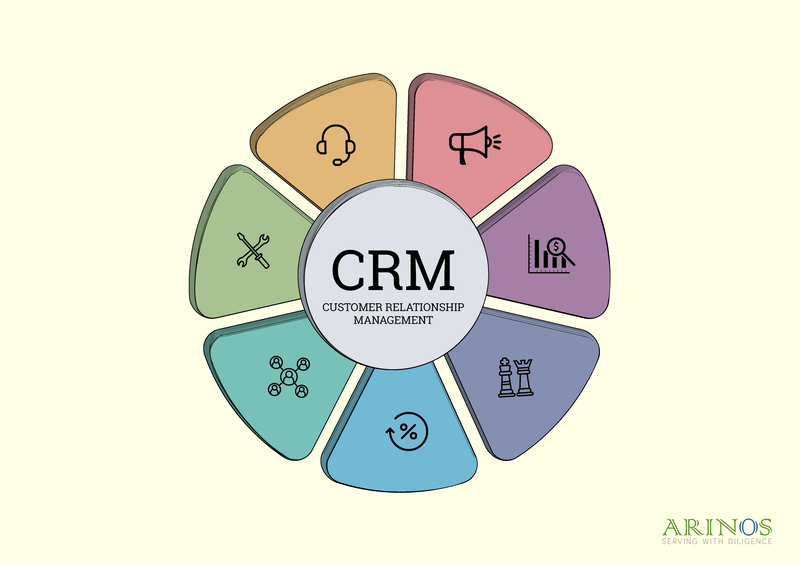 Arinos provides CRM solutions for software services that include application development, software solutions and website development to name a few. ePublishing services like print ready PDF, copy editing and indexing services are a boon to writers and publishers. We put the fun in e-learning with interactivities, animations and simulation. Mobile applications like educational resources, essential service booking, Ebook reader and scoreboards are part of the solutions at Arinos. Our web-based portal can be accessed with ease from anywhere, and the user can update their list of contacts when the marketing activity completes. Sales and marketing team can monitor their interactions with their customers.